1. What 18th Century comic novel is about a man who suffers from a inauspicious conception, an inadequate nose, a poorly-chosen name, and an accidental circumcision by window sash, and who can't even get born until the third volume of his own autobiography? 2. This language is, depending on whom you ask, either the primary basis for the constitutionally-mandated Filipino language, or pretty much the exact same thing as the Filipino language. 3. It ends with the sons of Tamora, Queen of the Goths, baked in a pie! 4. What's the blue thing? 5. St. Paul's right-hand man, he was probably Bishop of Ephesus from 65 A.D. to 80 A.D., or maybe 97 A.D. If you aren't squeamish about reading other people's mail, there are two letters to him in the New Testament. 6. What is the most ubiquitous invention of the incredible Philo T. Farnsworth? 7. What is shown in both of these two images? 8. In Puccini's opera, any man who wants to marry this Chinese princess must answer her three riddles; if he gets any of them wrong, he will be beheaded. 9. It almost wouldn't be a Wednesday Quiz if you didn't have to identify a country! A couple giveaway place names have been removed because they are, you know, giveaways. 10. What's the word for a straight line through a single point on a curve; or, the ratio of the length of the opposite side of an angle on a right triangle to the length of the adjacent side; or, a straight length of road or railroad? The tie-breaker: Let's do the one again where you make a natural sentence that uses only words starting with this week's letter. Put your answers in the comments in the form of an epistle to the Bishop of Ephesus. To all of my brethren of Portlandia, Greetings. Whence come these torturous questions? I'll skip the extra cred--couldn't beat Elaine anyway! I thought you were making up Philo T. Farnsworth. 8. Monty Python and the Quest for the Holy Grail. Oh, wait. Operas... Tosca? Undoubtedly Tristram Shandy, perhaps Tagalog, and certainly that early bloodbath Titus Andronicus, penned by Wm. "Tarantino" Shakespeare. Tasty! 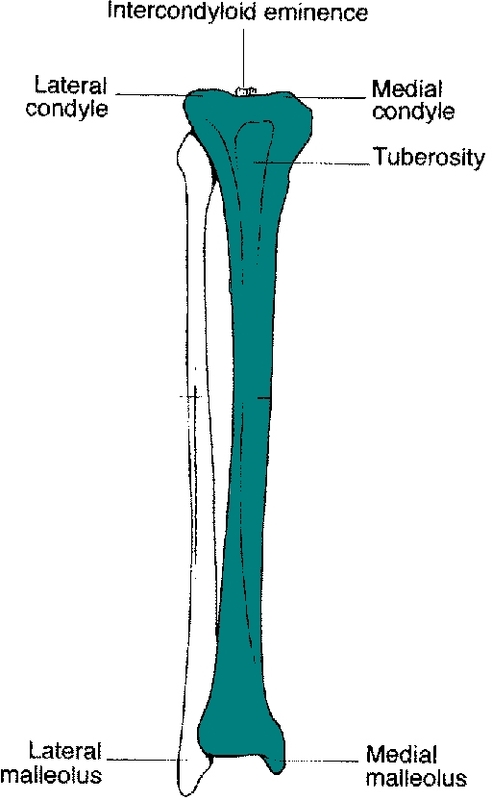 The blue thing, methinks, is a tibia. I am afraid I have no idea what your name is--my guess is the letters would be 1st and 2nd Ephesians. Perhaps you could help me out? Otherwise I will have to guess, in obvious desperation, Thessalonio. I'm quite sure I will kick myself when I hear the answer--you know, or surely knew, when you were alive, the feeling. Question 6, I hate to admit, is always stumping me. The toilet belongs to Crapper; perhaps Love The Farnsworth is credited with television? 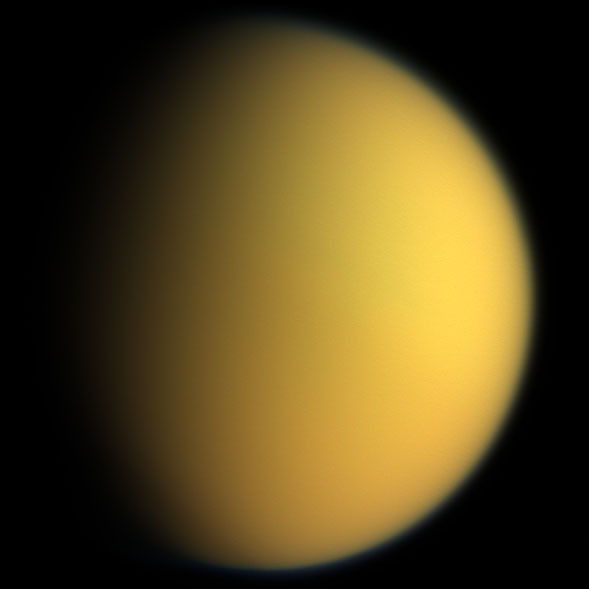 Both images are of Titan. 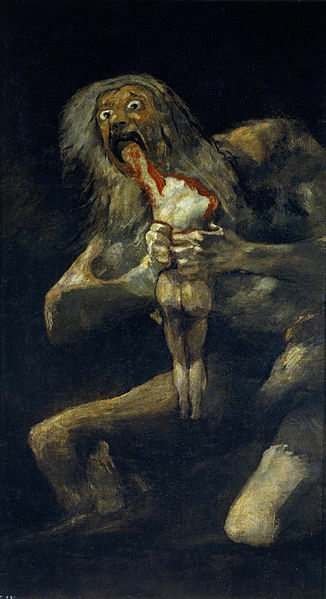 Poor Goya: those were dark years. I saw Turandot once in Verona, and imagine the map must show Tajikistan. PS "The taut, tangled thread that ties two tippy tabletop trivets together tends to take tension too terribly to trust the topheavy tarnished tureen to that topsyturvy thingamajig!" thundered Tom to the traveling troupe's tipsy trooper, timidly tending the teeming table. Your Excellency, it is with great pleasure and slight confusion that I convey to you the following information, requested on your behalf by Michael5000 of Portland. 1. Cyrano de Bergerac is the only nose-related period comedy with which I am acquainted, but I'm getting a sudden flash that there's someone named Thibault with a glod replacement nose, and Thibault begns with a T.
2. Tagalog, which Google keeps serving me for the interface to its maps and blogger site seems to be the Filipino language. 3. Couldn't you have asked for Captain Kirk's middle name or given us a picture of a tanager? How about Titus Andronicus. Is that even a literary work? 4. 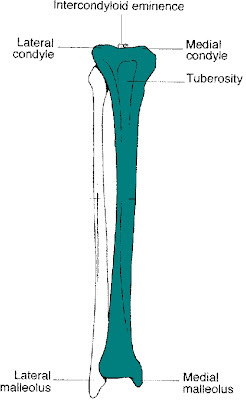 Assuming I got number two right, the blue thing is a tibia. 5. Timothy, cause I'm not sure I can spell Corinthians. 6. Is he the guy from Futurama? Did he invent something useful? Time travel? That would, by nature be ubiquitous. 7. Titan, and wow that second one is quite a thing to name your high school basketball team after. I'm not sure what the plush fuzzy mascot version would look like. 8. Tiger Lily, or was that Peter Pan or the Mikado? I trust that you will know what to do with this information. P.S. The ten tiny Turkish tortoises that temporarily took the twelve turquoise teapots towards Tennessee Tuesday told the teacher to trust them to take the train through Texas Thursday to transport the teapots thence to Tahoe. I'm not sure it's worth numbering this little handful: Tagalog, tibula, Turkmenistan, and tangent. Trying to teethe, the tormented, tiny tots trumpeted terribly; their torn tissues taunted them. 1. i saw all th other replies and thought, doh! i read that in college but totally forgot the plot! so i will decline to answer. Oops -- guess there are downsides to learning two bones together. ...and complements to the tie-breaking efforts. Props to Elaine for thematic content, Mrs.5000 for longest entry, Aviatrix for psychodelic-ness, and Eavan for sentence plausibility. How on earth did I get Titus Andronicus right? I wasn't even sure it was a thing. I guess that's my psychodelicness. 'Titus' is one of the plays I have NOT read; is there a recipe for that pie?